Over the past several years, CBD oil has gained increasing traction, as well a reputation for helping to alleviate a variety of ailments and issues. As more and more people are newly discovering this wonderful and natural product, it’s not at all surprising that they might have some questions. To help make things simple, we have listed the pros and cons of CBD below. CBD and other cannabinoids are naturally occurring compounds. No pesticides or herbicides are ever used to grow any of the ingredients in our products, which makes them 100% organic. One of the greatest things about CBD is that it is a lot of uses as well as a wide array of health benefits. It can be used internally and externally. CBD can be used for a variety of purposes and situations, and it’s therefore not surprising that there is a wide range of ingestion and application methods (e.g. oils, creams, capsules, suppositories, and chewing gums). CBD is safe to give to children of all ages. We recommend administering a product with a CBD percentage of either 2.5 or 5% to children. Humans and animals alike naturally synthesize endocannabinoids using their endocannabinoid systems. Research has shown that CBD consumption is safe for animals and can provide lasting relief for pain and many other issues. Smaller companion animals such as dogs and cats should be given a product with a percentage of 2.5% or 5%, while larger animals, such as horses, benefit from products with a higher CBD concentration (10% or 18%). 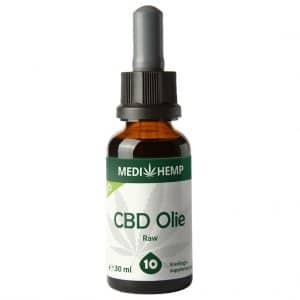 CBD oil is very easy to dose because it comes in dropper bottles with fitted pipettes. One of the best parts about medicating with CBD is that it’s impossible to overdose. As more is understood about CBD, everyone can benefit from the many benefits that it has to offer. Because every individual has different needs, we welcome the fact that there are now products available with different strengths and concentrations. It is absolutely possible to use CBD for an extended period of time. The products contain ingredients that are chemically harmless and easily tolerated by the body. As such, they will not have any harmful effects in the long term. One often-heard complaint CBD products is that they are not exactly cheap. 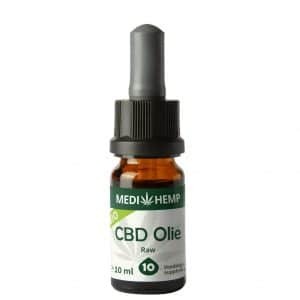 The CBD products that we stock and sell contain organically produced ingredients and have all been selected with the utmost care and diligence, as we only want to offer you products of the highest quality. Moreover, the production process is extremely labour-intensive and time-consuming, making the products relatively costly. While taste is, of course, highly subjective, some people simply aren’t fond of CBD oil’s somewhat pungent, bitter taste, which is affected by various factors such as the presence of terpenes and flavonoids, the method of extraction, and which oil has been used as a solvent. 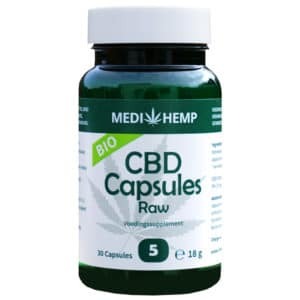 We also offer taste- and odorless capsules, which are suitable for those who dislike CBD’s natural flavour and aroma. If you feel as if your CBD is becoming less effective, you may want to take a one-week break. The good news is that the tolerance build-up is only temporary: after taking a break, you can start taking CBD products again and experience all their benefits once again. An important variable to keep in mind is that everybody is different and that individuals will respond differently to CBD products based on a variety of factors. Therefore, there is no universal “perfect” dosage”. As such, we recommend experimenting with different modes of consumption and different products to see what works best for you. Unfortunately, there are many unreliable CBD brands and products out there, which often contain much less CBD than they claim. We have made quality reports containing detailed descriptions of our products available; you can, therefore, always be sure about the amounts of active ingredients. CBD is legal in almost all European countries; however, matters get more complicated once you travel beyond the European Union, as several jurisdictions have not yet passed legislation decriminalizing possession of cannabis products. For this reason, we strongly caution people against taking CBD products with them on their travels and advise them or to consult the customs office in their destination country prior to departure. The use of CBD has both advantages and disadvantages. However, the minimal disadvantages do not outweigh the many benefits that this beautiful product has to offer.